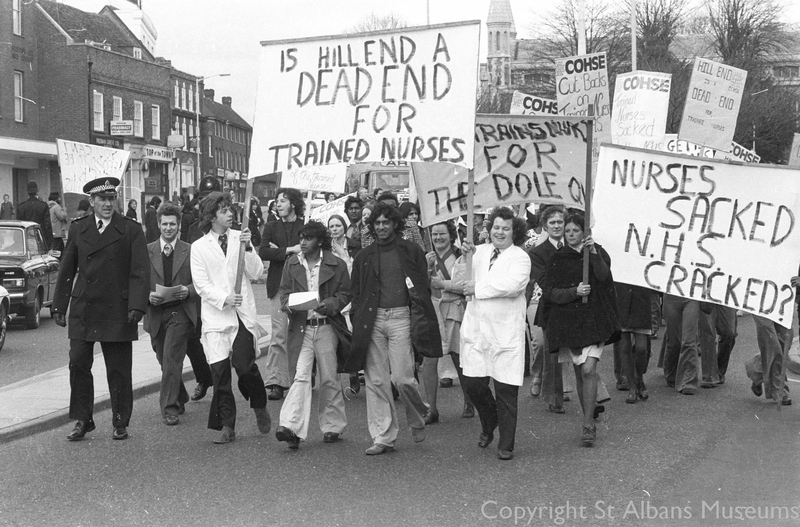 Nurses at Hill End Hospital over the years | Hill End, People | Out of Sight, Out of Mind? The image collections at St Albans Museums contain several pictures of nurses from Hill End Hospital, from the Edwardian period to the Second World War, when Hill End served as a hospital for wounded soldiers, and right up to the protest marches of the 1970s and 80s. Unfortunately, we do not know very much about those appearing in these images. If you can shed any light on the people in these photographs, or the events they show, please add your comments below! Perhaps your mum or grandmother (or great-grandmother!) 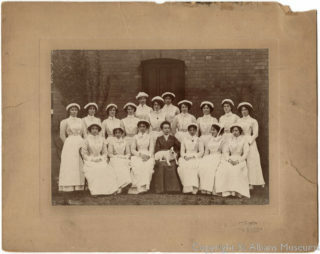 is among these unknown nurses? I have been trying to trace a Nurse Martin who was in the children’s ward at Hill End in June 1944. I am looking for any infomation about a nurse (my mother) who was at Hill End around maybe 1963 or 1964, up until early 1965. Her name was Alison Fairgrieve Mackay. If anybody remembers her or has any information, however small, I would be grateful. Thank you. My mother used to live in Tyttenhanger Cottages during the war – Gladys Fensome (née Harrop). My grandfather worked as a porter at Hill End (Harry Harrop). My gran helped at the nurses’ home at Highfield Hall. 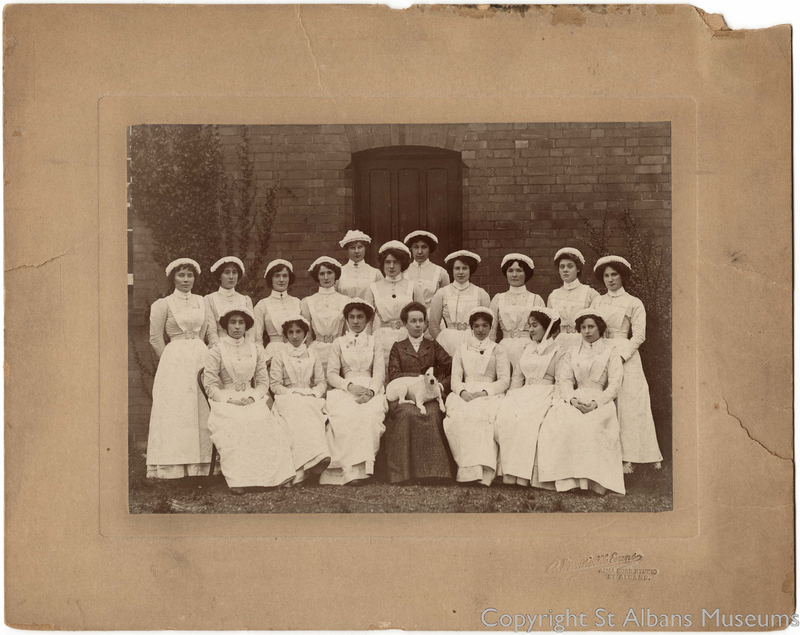 My mum remembers at 8.30pm taxis arrived at the hall, to collect the nurses in their white uniforms with black stockings and take them to Hill End to begin their shift. I have been trying to trace two nurses who looked after me whilst a patient at Hill End in June 1944. 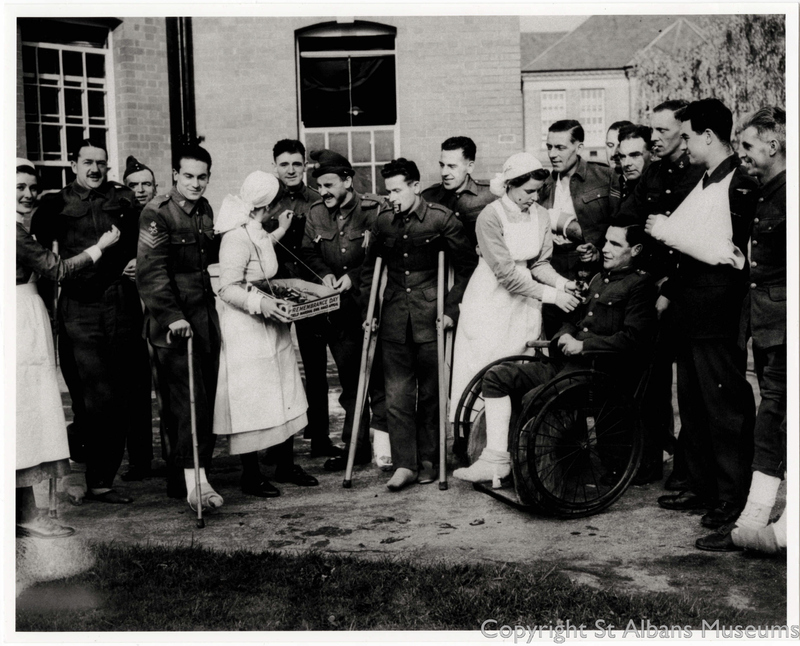 I was eight years old and had suffered injuries when our house was bombed They are Nurse Holt and Nurse Martin. If anybody can help I would be grateful. That’s me at the front holding the banner (on the right). On the left, holding the banner, is Dave Miller. Next to Dave Miller is George Luxaman.